See the photo gallery of the September 2005 SNU rally at Eagle Lake held at the BLM campground on the North end of Eagle Lake. 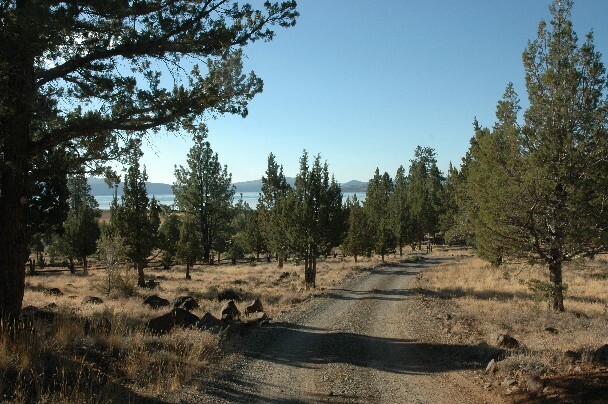 Eagle Lake is about 32 miles North of Susanville, CA and 120 miles from Reno, NV. 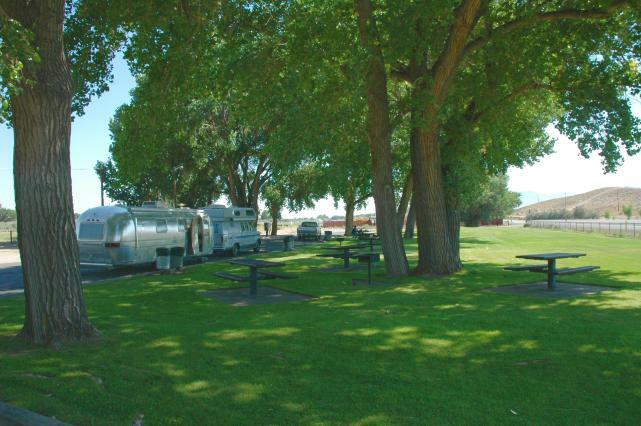 There are two nice parks to stop for a rest on the road from Yerington to US 395 south. The one just outside Yerington has a dump station and commercial scales just across the street. See the photo gallery. International Atomic Time, or absolute time-keeping, based on atomic clocks. Universal Time, the classic system based on the rotation of the earth (e.g. noon is when the sun is highest overhead). Coordinated Universal Time (UTC) which uses the leap second to keep everyday time accurate within 0.9 seconds. The (tentative) calendar of rallies and meetings for the Sierra Nevada Unit of the WBCCI is up! Recollections of the WBCCI – Mike was able to visit the site near Kentville where the ceremony commemorating the 50 year anniversary of the establishment of the Wally Byam Caravan Club International (WBCCI) was held. These are his recollections of the event. Low tire pressure means hot tires and hot tires lead to early failure. This is why you need to check tire pressure frequently and make sure that any error is on the high side – up to the maximum listed on the sidewall. There are gadgets you can use to help you monitor tire pressure. The high end ones use radio transmitters to send a signal to a driver viewable console. There is an effort for government regulation to require this sort of system on new vehicles. A less expensive means is an indicator you can put on the valve stem and check at each stop. The VECSAFE Valve Cap is self-calibrating. When the cap is mounted on the valve stem the first time, it will memorize that tire pressure. It uses blinking LED’s as an indicator. $5. Eagle Day has one with a sliding indicator to show green, yellow, or red depending upon how low the pressure is. Buy these for specific pressures at $16/4. Tire Minder Max gradually turns red as pressure drops. $5 but 42 psi is about as high as they go for pressure. Accu-Pressure Safety Caps is another 3 level indicator and you can get them for up to 120 PSI. Tire Minder is another with an explanation. Up to about 60 PSI versions available. If you go this route, make sure you can get an indicator that can handle your tire pressures. An Airstream trailer will need 45 PSI (C load range tires) or 65 PSI (D load range tires) and a tow vehicle may need 80 PSI (E range). Not all indicators will handle these higher pressures. Also check the indicator range. Most go to caution at about 4 PSI low and to red alert at about 10 PSI low. Don’t let your tires run at low pressure. You can also use an infra-red thermometer to check to see if your running gear is running hot. If one wheel or tire is more than twenty degrees hotter than the others, let it cool and find out why. Burning Man 2005: Psyche – lots of pictures. Some adult content but that is toned down (at least on this page). 35,000 people at a dry camp rally with all sorts of toys and gadgets. Look for ideas you might be able to use. is another good report on the Escapee’s discussion forum from a first time burner. It illustrates the advantage of a newbie signing up with an experienced group and how participation in that group and in the nature of the event can create a first rate experience. Where else could I, a totally straight 62 year old, retired grandfather, dress up in a pink Tutu with a red strapless tube-top and a black and red pirates bandana and dual colored finger nails, ride around on a kid’s chopper bicycle and feel totally natural, plus get the applause of most that I met? Everybody is part of the big family, I did not see any clannishness, there is no class structure, and everyone is equal. Human interaction is free and easy; I could detect no animosity or shyness. The volunteer and the paid staff are absolutely dedicated to the BM project and make the whole city run smoothly. The ones I met, were mostly multi BM veterans and proud of their contributions. Do you still use rope to tie things down? Keep an awning from blowing away? Put up a clothesline? Tie up the dog? Hold up a lantern? Make a temporary repair? Knowing how to tie knots can be a useful skill if you want your knots to hold and the rope to retain its strength and to be able to untie everything so the rope can be used again. Troop 7 in Coral Gables has a nice encyclopedia of knots that shows what they look like and how they should be used. The UNE Mountaineering Club has animated knot tying instructions for some of the more basic knots. The “RV Kitchens Newsletter” finds its basis in the real life experiences of its authors and, because these experiences are uniquely ours, the reader will find we present issues not covered elsewhere. Our articles all pass through the filter of our personal preferences, quirks and eccentricities. Its a free email newsletter. Sounds like it may offer some interesting ideas for the RV Kitchen and turning your meals in camp into something even more special. Carl T. Hall thinks you might be hearing more about rocks in your next visit to a National Park. Geology workshops give rangers lay of their lands Parks’ staff versed in explaining Earth’s dynamics to visitors is an SF Gate story explaining why. Lillie’s new book, “Parks and Plates: The Geology of Our National Parks, Monuments, and Seashores,” argues that many of the 380 sites administered by the National Park Service are special places precisely because of the geologic forces that formed them. Now, in collaboration with local geologists and in-house rock specialists of the Park Service, Lillie is leading a series of geology workshops for park rangers around the country while on sabbatical from his university post. SF Gate’s interest may be in the Golden Gate National Recreation Area, which includes the Headlands and Point Reyes but the Great Basin is one big geologist’s wonderland, too. From the Lehman Caves to Sand Mountain to all of the mines there are many interesting things to learn about that have influenced roads and settlements in Nevada. 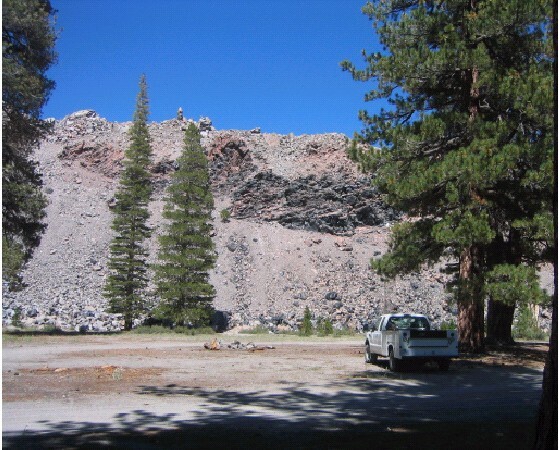 The Reno Gazette Journal profiles an NFS law enforcement official and the problem he faces in A million acres, a single cop: Crimes rampant on forest service land from Reno to Mono Lake [Jeff DeLong 05sp09]. It’s a scenic and rural landscape with increasingly urban problems, including drug-fueled youth parties, illegal dumping, vandalism, assaults and even murder. Kid on party. Druggies looking for secrecy. A neighbor trying to find someplace to get rid of an old washer and dryer. The Urbanization of wilderness is becoming a problem as it becomes easier to access more and more wilderness within an hour or two of a city. The article will provide you with a good synopsis of the dark side of humanity out in the boonies. It is not yet to being a severe threat to our ability to enjoy national forests but it does mean we need to take appropriate precautions and to be the eyes and ears of civilization when out there. The September 2005 Newsletter has been posted. ** Time to renew your membership in the SNU and WBCCI. Dues ar $65. Complete the dues renewal form and send it with your check to the SNU Treasurer, Ann Hersey. If you haven’t joined the SNU yet, now is the time. Use the same form, complete it and send it in. We are looking for members to serve on the SNU board. The Unit has grown and the future looks bright. The health, welfare, and future of the SNU is the responsibility of all it’s members. If you are interested in helping out in any way from submitting an article to the newsletter or assisting with ideas for rally activities to auditing the Unit financial status or writing up notes on SNU meetings contact Diane at 775 972 9392 or email hq@sierranevadaairstreams.org. Check out what’s new on the Sierranevadaairstreams.org website. This includes links to the Twin Lakes rally photos and the day trip to Bodie. 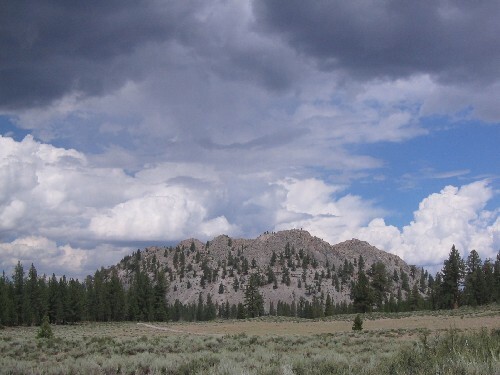 It also includes a link to our July 2006 rally site at Obsidian Dome. 2006 is shaping up to be a very special year for the SNU. It is the 30th Anniversary of the Unit. It is the 75th Anniversary of the Airstream RV. We have some new rally sites as well as some old favorites. So renew your dues, join us, and plan to share in all the fun and celebrations. Mark Van de Walle has an MSNBC article Going mobile: The second coming of the RV that features a picture of one of the original Airstreams and provides a bit of history behind the CCD model. As a 1940 article in Trailer Topics magazine put it, a trailer is a “hybrid of the aeroplane, automobile, and house.” No model ever fit this description better than the Airstream, which has remained essentially unchanged since Wally Byam built the first Clipper, in 1936. Constructed from sleek aluminum and outfitted with wood paneling and Formica, it was updated in 2000 by San Francisco designer Christopher Deam, a former Frank Gehry employee, for a plastics-company booth at a trade show. Internet in motion is a cellular based internet service provider. The alternatives are satellite (e.g. DirecWay), wifi when in a park with such service, and standard cellular which is limited in speed. The problem with anything cellular in the Great Basin is that there are a lot of places with no service. But Do I Really Need Winter Tires? – Tire Rack has a good rundown of issues to consider as winter approaches. Camping Life has a rundown on those small quiet generators and what you can really expect from them. Lone Star RVing is a news magazine that right now has articles talking about solving housing needs of Katrina Victims. If you have a pen in your pocket and a lot of time you don’t know what to do with, Pen Tricks might give you some ideas to think about. This is an ‘RV Safe’ activity – maybe start a movement and have contests at rallies? Some Technical Details on Lead Acid Batteries, The Chemistry of Sulfation, and Why Pulsing Helps – find out why batteries age and what you can do about it. You can learn more about The Basic Chemistry of Gas Recombination in Lead-Acid Batteries; How Lead Acid Batteries Work; a tutorial; or a battery chemistry FAQ. The Scan Gauge plugs into your rigs on board diagnostic port (OBD) so you can keep any eye on fuel use, battery voltage, and all sorts of other things. Wired news has an article about Hearing Aids for the Unimpaired that highlights some products to help you hear better. September has just started and the weather people are seeing signs that a cold front might bring a few snowflakes to the high sierra’s this weekend. This would be a change that might a least bring the temperatures down to seasonable averages. It is also a warning that it is time to start thinking seriously about winter. This means keeping a close eye on road conditions before heading out and taking precautions to protect your rig from freezing. There seems to be a lot of RV enthusiasts who worry about the safety of water when they travel. Sales of water filtration and treatment equipment for RV’s is a big business. The fact is, though, that public water systems in the US are very safe sources of water no matter where you go. NFS or BLM campground water is tested regularly to make sure it is safe. All public water supplies must meet stringent standards for safety and are tested regularly. The Katrina disaster illustrates a special situation. Educated Guesswork has an entry on arranging for a supply of water that provides an excellent overview of the kinds of water problems that can be encountered and how to treat them if you do not have access to a regulated public water supply. We’ve seen the stories about many people who had nothing and the first thing rescuers provided was water. There were others who, a week after the storm, were refusing to evacuate their homes. They had stockpiled water and supplies as is generally recommended in emergency preparedness guidelines and were still quite comfortable. It is getting towards the time when you will need to winterize your rig. This means emptying all tanks and removing water from anywhere it can sit and cause damage. If you plan to camp in winter you will need to either use bottled water or take special precautions to keep your water system from freezing. Next spring, proper maintenance will require sanitizing your system. It is this proper maintenance that keeps your RV water system safe. Put your worries and your efforts where they are most needed. Water filtration and treatment is a ‘taste’ thing unless you are going to encounter some unusual conditions. These pictures were taken by Rick Laborde. He put together a fantastic PDF proposal complete with these pictures, information and detailed directions for the SNU proposed July 2006 rally. See the original PDF version of this document. A visit to Bodie was in order on Saturday during the Twin Lakes Rally. See the photo gallery of the special tour. 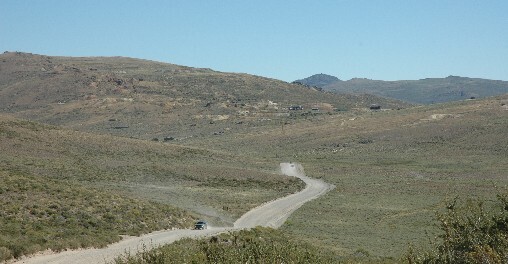 Here’s the road to Bodie. The pictures include one of the truck that member Rich Jaggard restored and some of the scenery around Bodie. Of course, there are the abandonded buildings and equipment, too.